The information presented on this page was originally released on April 11, 2016. It may not be outdated, but please search our site for more current information. If you plan to quote or reference this information in a publication, please check with the Extension specialist or author before proceeding. This year marks the 10th anniversary of Purple Knight Alternanthera’s designation as Mississippi Medallion winner. That’s a reason to celebrate in our Mississippi gardens and landscapes. This plant is worthy of our landscapes as it is extremely hardy and has no serious pest or disease problems. It stands up to the drenching rains and blustery winds we can receive, and it looks great in the summer heat that keeps rational gardener indoors. 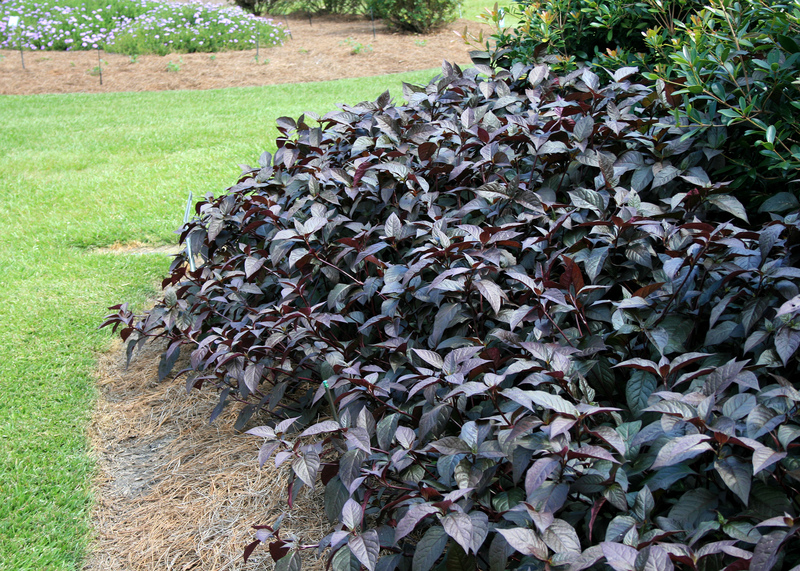 Purple Knight, with its dark-purple foliage, will easily grow up to 20 inches tall. If the landscape soil is rich and consistently moist, heights of 36 inches are not out of the question. Purple Knight just might be the perfect garden plant to grow this year. It is one of many landscape-worthy plants in the Alternanthera genus. Alternanthera is a beautiful landscape foliage plant that really comes into its own as the summer heats up. These plants begin to show off in late spring with their vivid colors. The attractive foliage is showy without having to rely on any flowers, especially when compared to some flowering perennials with limited bloom periods. Colorful foliage lasts from initial planting until the first frost and beyond, in some cases. These attributes help to fuel the increased interest in using colorful foliage plants in the landscape. I like the fact that Alternanthera can be used in lieu of flowering annual bedding plants, and a few of the taller selections are fit for duty in the shrub border. Alternanthera also can provide great filler accent in a combination container. Alternanthera comes from Central and South America and is related to the poplar landscape annuals celosia and gomphrena. There are several species, from low-growing spreaders to tall, upright forms. Foliage colors range from lime and chartreuse to bronzy reds and pinks. A nice, low-growing selection is Little Ruby. 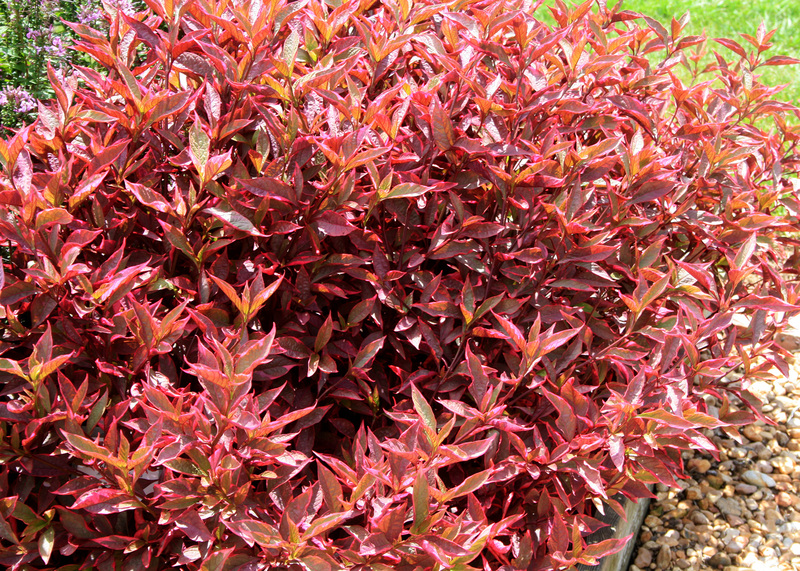 The plant has an upright and mounding growth habit that reaches only 15 inches tall, and its gorgeous, dark-burgundy foliage is tinged with green. You may instead like Brazilian Red Hot, with its wavy-textured leaves variegated with purplish centers and fluorescent fuchsia margins. I really like the Gold Threads selection. As its name suggests, the foliage is banana yellow with delicate green lacing. The plant forms a mound about 8 inches tall and spreads 12 to 14 inches. Any flowers produced are insignificant and can be removed, but this is not necessary. However, light pruning promotes lateral growth and maintains a dense foliar form. Alternantheras are heat tolerant and thrive in the full sun. In fact, the foliage colors intensify as temperatures increase, which means they are beautiful with our Mississippi summers. Alternanthera tolerate growing in shady conditions, but colors are subdued. Plant Alternanthera in well drained, fertile soil prepared by adding 3 to 4 inches of good organic matter before planting. Use a slow-release fertilizer at the rate of about 2 pounds per 100 square feet of landscape bed at planting to keep the plants fed through summer. 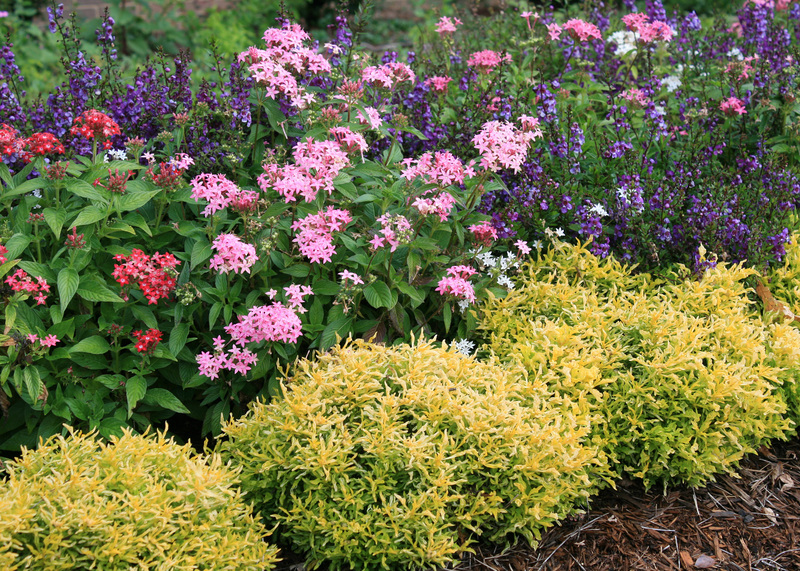 Alternanthera is a good landscape choice for dry summer conditions. As with any drought-tolerant plant, supplemental irrigation during prolonged periods of drought helps keep the plants going strong.